The Houston Livestock Show and Rodeo is one of the biggest annual events in the state of Texas. It combines two Texas strongholds – rodeo and major concerts – and allows fans to enjoy both in one spectacular night. 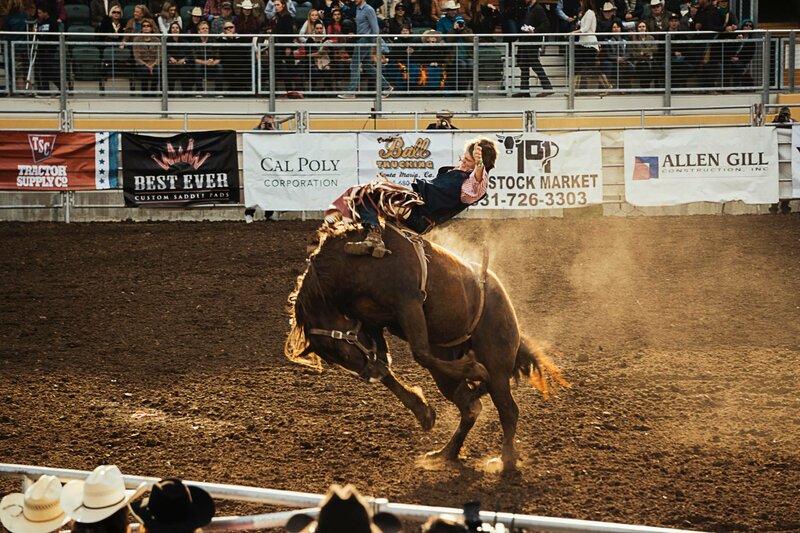 Culminating each rodeo during these dates is a live performance by some of music’s biggest names, including major country stars like Luke Bryan, George Strait, Chris Stapleton, Brad Paisley, and Tim Mcgraw, and major not-so-country acts like Cardi B, Kings of Leon and Panic! At the Disco, among others. Here’s your ultimate guide to the 2019 Houston Rodeo, including seating charts, concert schedules and tips on where to buy tickets & how to get discounted Houston Livestock Show and Rodeo tickets. The “Action Seats” are an extension of the 100s section, i.e. 127 Action, or Action 127. 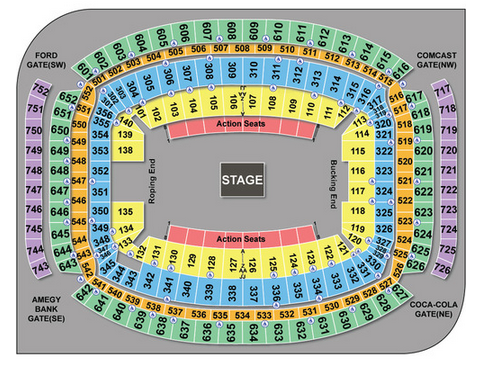 The action sections each have 7 rows (1-7), while the 100s sections start with row A and go from A to Z, then AA to JJ (AA is the equivalent of the 27th row). 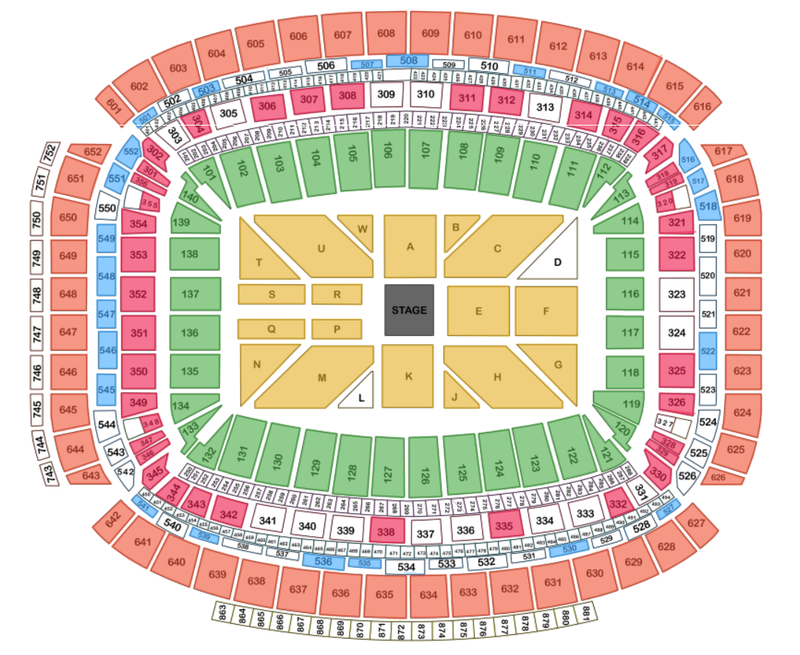 With regard to seat numbers, Seat #1 is always closer to the lower section number (for example seat #1 in section 127 is closer to section 126). Note: the only difference is the addition of the floor sections and the removal of the “action seats”. This isn’t the best, but you can see 3d views and real pictures (by section) of NRG Stadium here. These pictures were taken specifically for the Houston Rodeo Livestock concerts. If necessary check here for more information on NRG Stadium. 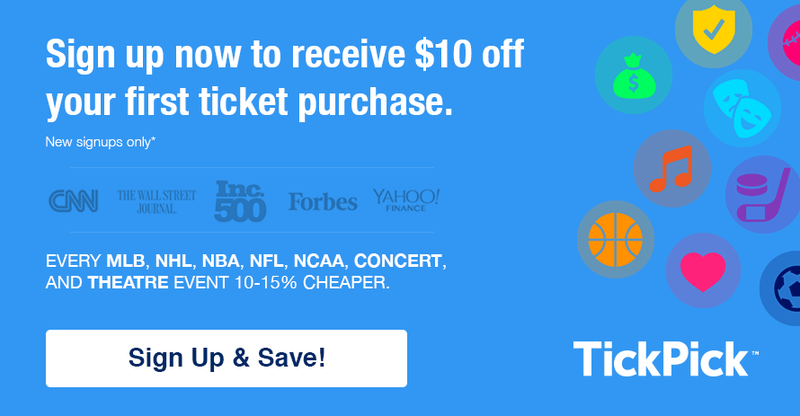 If you weren’t able to secure tickets through any presales or general sales for Houston Livestock Show and Rodeo, don’t worry, you’re not alone. Tickets can still be purchased from secondary marketplaces, although the prices will not be at face value. With an event as popular as the Houston Rodeo, prices are anticipated to be on the higher side, but that doesn’t mean that good deals can’t be had – if you know where to look. Still have questions about the Houston LiveStock Rodeo, leave your questions and comments below and we’d be happy to help you out!